Editor's note: the article written by SHI SHAN was first published in 1997. The 10th Panchcn left us some eight years ago. Recalling his days with us, we cherish a profound memory of the master. The 10th Panchen loved the Communist Party of China, the socialist motherland, the Tibetan race and Tibetan Buddhism. "The four loves are an united integral whole, and they are based on the love for the Communist Party of China." said the 10th Panchen at a meeting with people charged with the consecration ceremony for the holy stupa for the 5th-9th Panchens in the Tashilhungpo Monastery just a few days before his sudden demise. On September 27. 1987. when Tibetan separatists incited riots in Lhasa, he sent a cable to the Tashilhungpo Monastery in Shigatse: "Buddhist tenets call on us to do no evil things....Please pass on my order that anyone hold enough to perpetrate evil will be sent to Hell and made to stay there forever." In early 1988. when the 10th Panchen was making preparations for the holding of the Grand Summons Ceremony in Tibet, he did a lot for the implementation of Central Government policy for religious freedom. "The Yuan Dynasty (1271-1368) unified the hinterland of the motherland and put an end to the chaotic situation prevailing in Tibet. From then on, Tibet saw the restoration of agricultural production and livestock breeding, and improvement in people's life. Tibet has since become a part of China. "The Yuan emperor granted Pagba the official post of Imperial Tutor who was also in charge of the Council under the Central Government. "Under the leadership of Government of the Yuan Dynasty, Tibet set up the Sagya Bainqen and 13 wanhu (10,000-household) political organs, unified the law and the day-to-day affairs. "During the Ming Dynasty (1368- 1644), Tibet was under the rule of the Pagmo Zhuba of the Gagyu Sect of Tibetan Buddhism. The Central Government granted official posts and issued certificates of appointment and seals of authority to Tibetan officials. "During the Qing Dynasty (1644-1911), which introduced many rules and regulations to Tibet, the Central Government granted honorific titles to the Dalai and the Panchen, both exer?cising power bestowed by the emperor. The Central Government had the Gaxag government formed in Tibet, and appointed Gaxag government offi?cials who were granted certificates of appointment and seals of authority. "The Tibetan army was organized and money minted in accordance with the order of the emperor. "Historically, therefore, Tibet is an area under the jurisdiction of the Central Government. It by no means was an independent state. "The 13th Dalai meant to seek Tibetan independence. But he failed. In his twilight years, he supported the Central Government and stopped seeking Tibetan independence. "During the time of the Republic of China (1912-1949), 10 Tibetan dele?gates attended the national assembly held by the nationalist government. This showed Tibet was not an independent state. At that time, the Central Government stationed no troops in Tibet. But Tibet dispatched its delegates to the Central Government without any duress. "The I4th Dalai and I went to Beijing for the National People’s Congress (NPC) and Chinese People's Political Consultative Conference (CPPCC) sessions in 1954. Both of us expressed support for the Central Government and the leadership of Chairman Mao Zedong. The 14th Dalai was elected vice-chairman of the NPC Standing Committee and I vice-chairman of the CPPCC National Committee. "The year 1956 saw the founding of the Preparatory Committee for the Establishment of the Tibet Autonomous Region. The committee consisted of members with the local government of Tibet, the Kampus Assembly and the Qamdo Liberation Committee, as well as people sent to Tibet by the Central Government. The 14th Dalai was its director and I its first deputy direclor. Zhang Guohua with the Central Government was its second deputy director. "The 14th Dalai fled to India following the armed rebellion in 1959. I have always been working for the defense of the unification of the motherland and national unity. "In a nutshell, Tibet has never been an independent state since the Yuan Dynasty. No country in the world accepts Tibet as an independent state. This is the historical fact. “Buddhist tenets call on us to do things good for the people and lift all people out of their sufferings. We lamas vowed to follow the teachings of Sakyamuni and rules of Buddhism ever since our tonsurement. 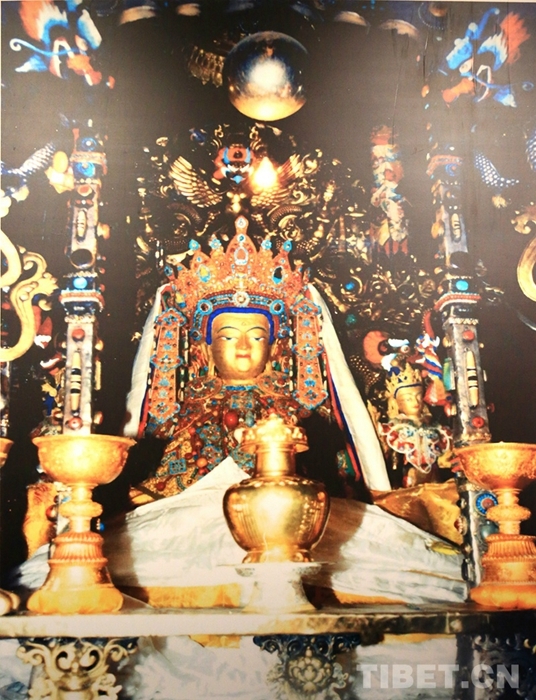 "Sakyamuni said we should respect the king and parents as well. Failing to respect the king—now the Central Government—means violation of the teachings of Sakyamuni, state law and Buddhist doctrines. "Buddhist rules ban lamas from participating in riots, such as the one that look place last year. We must act in accordance with the state law and Buddhist tenets, and strive to be a lama who loves the motherland and Tibetan Buddhism, and refuses to participate in riots. "Monasteries should abide by the state law and Buddhist rules, and must not become the base for rioters. Tibet is a part of China. They should abide by the Chinese Constitution. Since the three major monasteries in Lhasa are located inside Chinese territory, they should abide by Chinese law. "Tibet has since the Yuan Dynasty never become an independent state. It is not independent now. It will not be able to become independent in the future. Only by opposing riots and splittism will monasteries and lamas enjoy pro?tection from the Central Government." The remarks of the 10th Panchen show that he had a deep understanding of history, and profound understanding of the relations between the Central Government and the local government of Tibet. In the long process of his growth, he developed a spontaneous love for the motherland. Soon after the founding of the People's Republic of China in 1949, the 10th Panchen cabled Chairman Mao Zedong and Commander-in-Chief Zhu De, expressing his support and love for New China. "At that time, I took the patriotic road chartered by the 9th Panchen. I didn't know what was patriotic and how should I be patriotic," recalled the master during his meeting with lamas of the three major monasteries in Lhasa. "I returned to the Tashilhungpo Monastery in 1952 following a separation of 29 years, a fact which made me feel the greatness of the Communist Party of China and reinforced my love for the Communist Party of China and the motherland." Talking about his presence in Beijing for the NPC and CPPCC sessions. 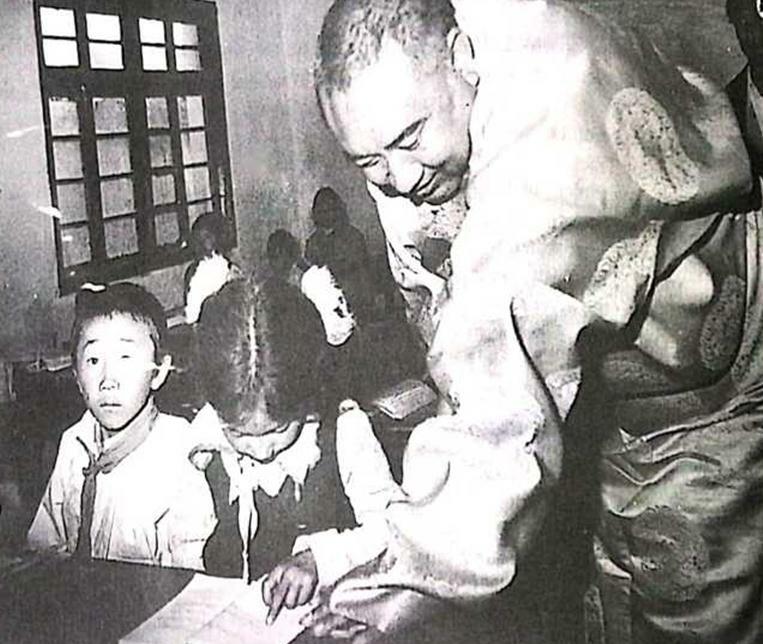 the master said that he came to "know how to be patriotic, and the relations between implementing the I7-Article Agreement with struggling against imperialism, loving the motherland, maintaining unity and reforming the old system in Tibet. "On this basis, I proposed an experiment with democratic reform in areas under the jurisdiction of the Panchen Kampus Assembly." When the I4th Dalai was persuaded by the late Premier Zhou Enlai not to stay in India, the I0th Panchen showed his respect for work done In the late premier and added: "I didn't expect to see a man like the 14th Dalai eat his words, and to see so complicated a struggle for and against separation. "I have two worries. Firstly. I am too young to implement the decision of the Central Government; secondly. problems that exist inside Tibet would affect the growth of anti-imperialist forces." At the 1959 NPC session, the 10th Panchen summed up the feelings of the majority of Tibetans by saying: "Tibet will remain to be China's Tibet! We will never allow the foreigners to interfere with the affairs that should be handled by Tibet and the motherland at large." When Tibetan separatists incited riots in Lhasa on March 5, 1988, the 10th Panchcn declared time and again, "I opposed in the past, I oppose now and I will oppose in the future any effort to sep?arate Tibet from China." In January 1989，at the consecration ceremony for the 5th-9th Panchen, days before his sudden death, he said: "The holy stupa symbolizes the great unity between the Tibetan and Han peoples and the correctness of the religious policies of the Communist Party of China. Tibetan Buddhists should strive to promote Buddhism and, politically, uphold the patriotic stand and work for the prosperity of the motherland and the people." In cherishing our memory of the 10th Panchen, we should remember his words and his will: upholding the unification of the motherland and national unity, and unfolding patriotic education in the monasteries so as to be able to match the progressing socialism and make due contribution to socialist construction in China.